Friedrichsdorf, August 16th 2017: As at 26th June, 2017, the PharmaLex Group, a leading specialist provider of Development Consulting & Scientific Affairs, Regulatory Affairs, Quality & Compliance Services as well as Pharmacovigilance, has further enhanced its senior regulatory team with the addition of an experienced regulatory professional. Dr. Adam King joins PharmaLex as Senior Director, Regulatory Affairs and Service Area lead for Regulatory activities related to mergers and acquisitions (M&A). Adam has nearly 30 years of experience working in the pharmaceutical industry, with over 18 years regulatory affairs experience both in a global R&D environment and more recently Regulatory Consultancy. In addition, he has extensive experience in radiopharmaceutical development, regulatory strategy development and oversight of the successful delivery of large scale regulatory affairs CMC programs. Adam’s most recent experiences include, leading a team of experienced regulatory consultants to successfully complete a large CMC compliance project working with one of the Top 5 Consumer Healthcare companies, and taking regulatory oversight of a large scale CMC site transfer program. He has also been the R&D lead for the design and implementation of an electronic document management system (EDMS) and publishing tools into a combined R&D and manufacturing environment. “I am excited to be part of the PharmaLex team and to spearhead a delivery service area to offer my experience for current/prospective clients in supporting the regulatory activities related to M&A”, explained Adam. “I will be able to leverage the extensive experience and expertise which already exists within the organization”, he added. 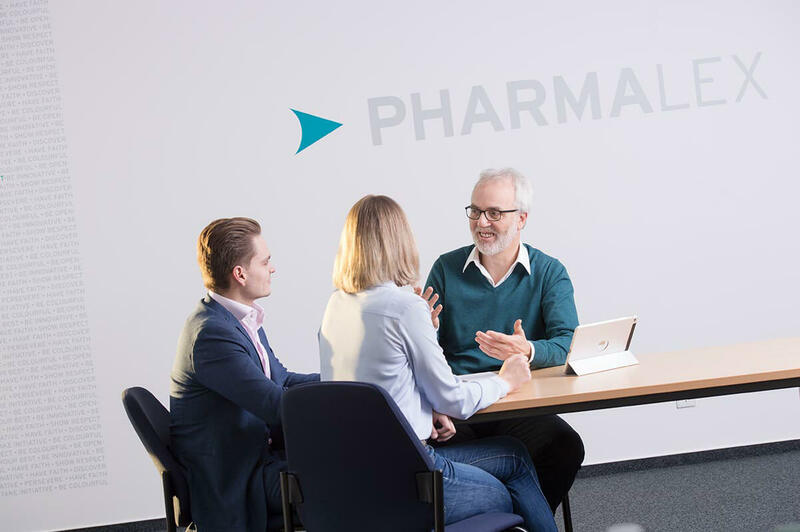 “Adam’s appointment demonstrates our commitment to developing our existing regulatory team, helping to guide our growing customer base to regulatory milestone achievements” explained Dr. Kirsten Jacobs, Executive Vice President, Head of Global Regulatory Affairs at PharmaLex. “His wide-ranging experience of activities needed for M&A will provide both the UK and global team with vital skills that enable us to provide our clients with added value” she added. The PharmaLex Group now has over 650 employees, with 25 offices in 13 countries and more than 600 satisfied clients worldwide. Development Consulting, Regulatory Affairs, Quality & Compliance as well as Pharmacovigilance – are our core service areas. Whether you are looking for maintenance activities covering entire portfolios or are interested in bench-to-market guidance during product development and beyond, our worldwide teams are available when and where you need them. Our working models can be tailored to fit client needs to consistently deliver milestone achievements and exceed expectations. Our extensive experience covers all major therapeutic areas and most product categories beyond the traditional medicinal products, including advanced therapy medicinal products, orphan drugs, biosimilars and medical devices.